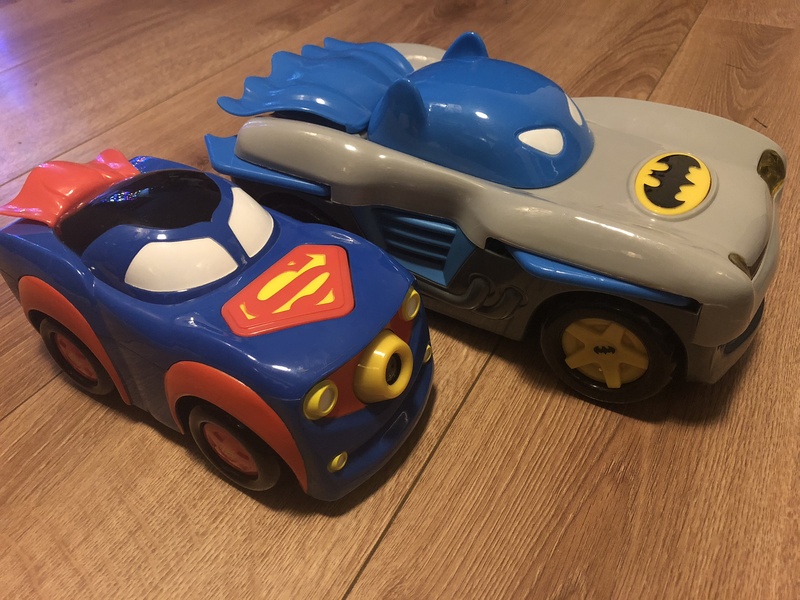 The largest vehicle in the range is the super impressive motorised Batman Racer, perfectly designed for little hands. 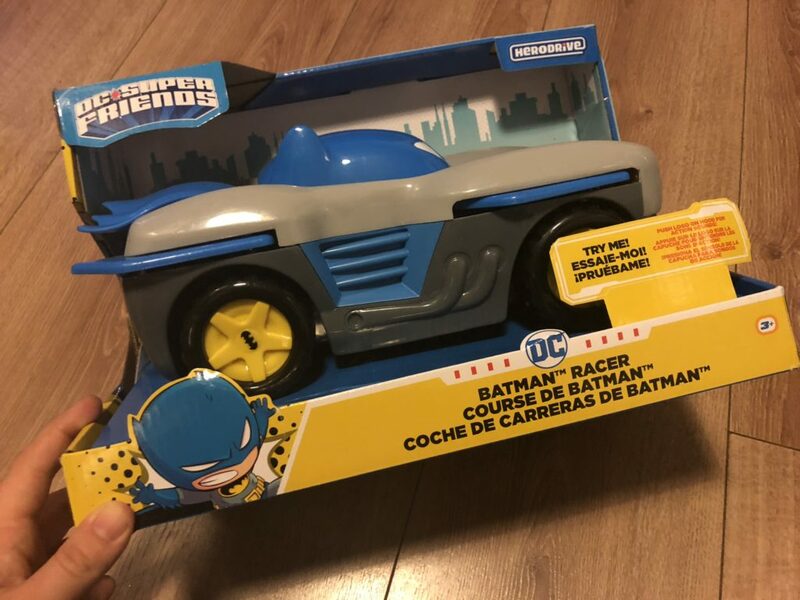 Push the logo on the hood for Batman style sound effects then press it again to send the Batman Racer racing forward – it even has a flapping cape. There are also wings that are activated by pushing the windshield forward to make them pop out. It has a flashing light on the front too, which is activated by the button. 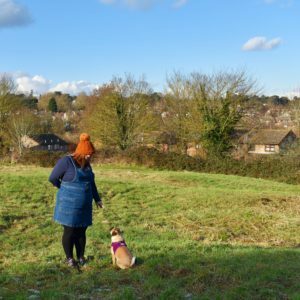 It’s a solid and fun toy, it’s great fun and would make a perfect main present for a little one. It does take batteries and they are included, hurrah. 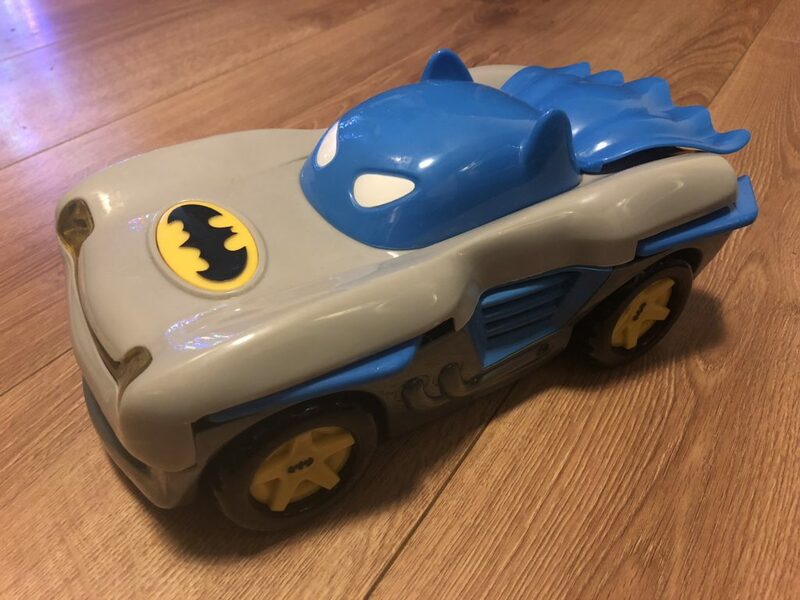 The Herodrive Batman Racer costs £24.99 and is available from Amazon here*. 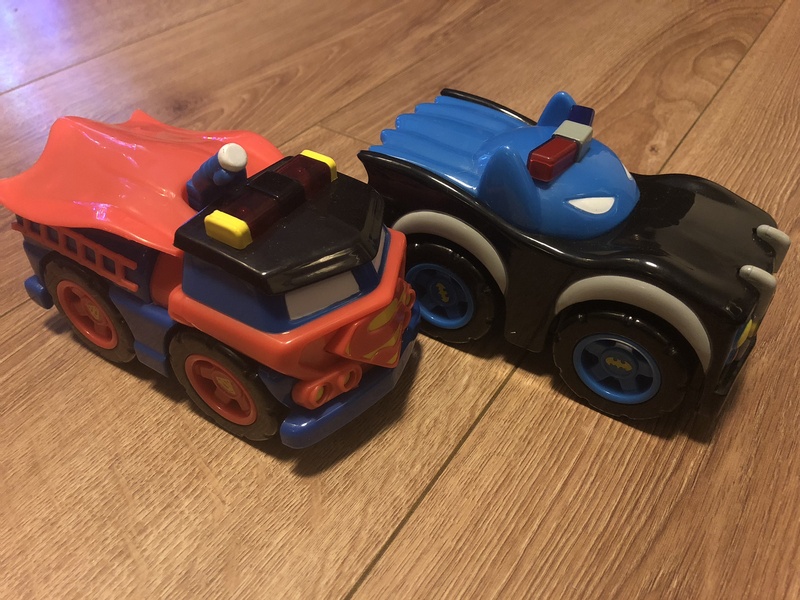 The Signal Squad vehicle is slightly smaller than the Batman Racer and is freewheeled with a push button on the front. Push the logo button and a super signal is projected. Again it also takes batteries and they are included. 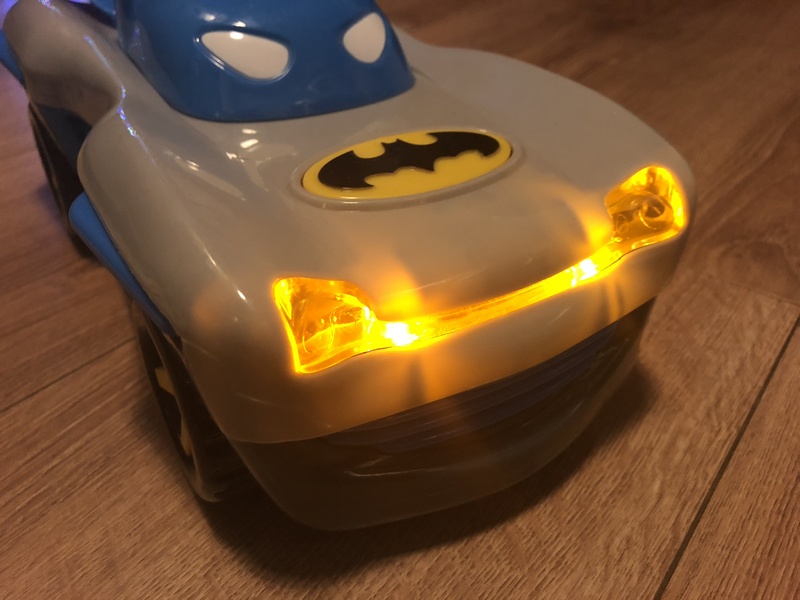 My little man prefers free-wheeled cars and the light on the front is super cool, he tells me this one is his favourite. 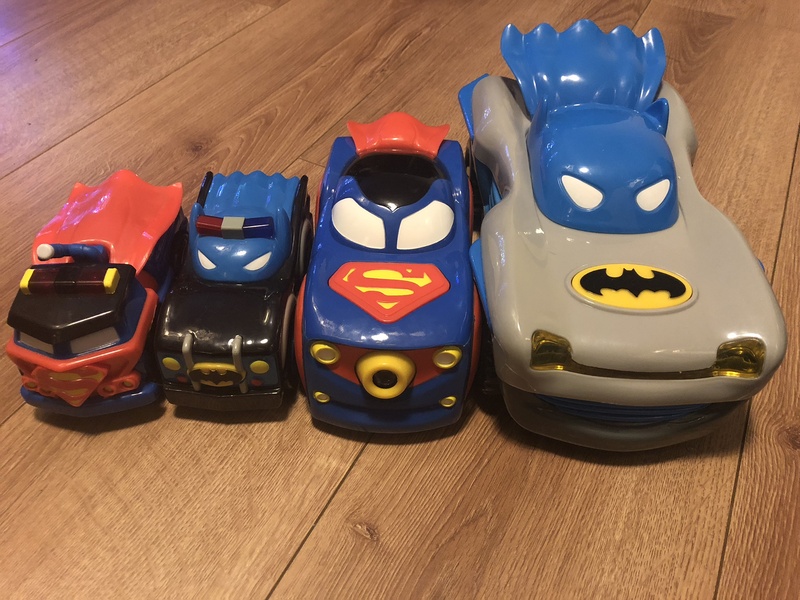 There are three to collect – Superman, Batman and The Flash. The Herodrive Signal Squad costs £12.99 is available from Amazon here*. 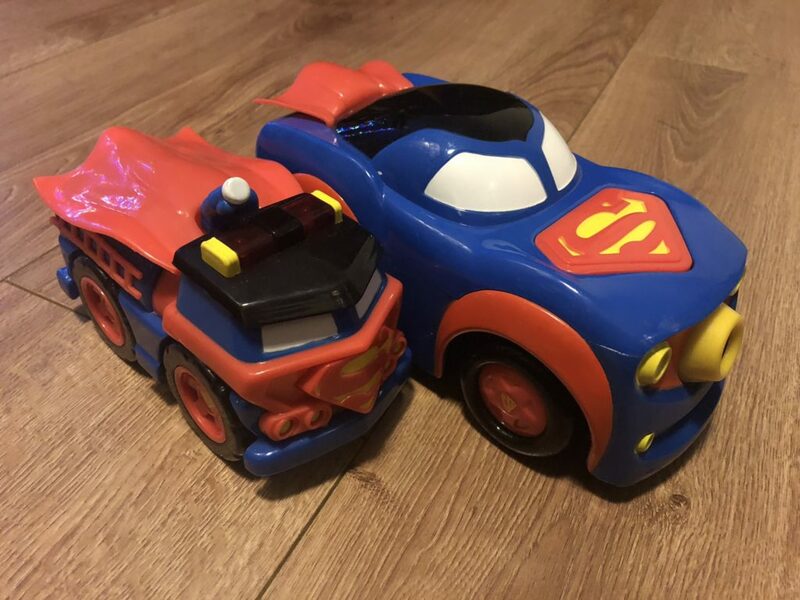 These reasonably priced and smaller vehicles are the perfect DC Super Friends/rescue vehicle mash up. Again they are free-wheeled like the Signal Squad ones and by pushing the logo on the front the lights flash and it makes sounds. 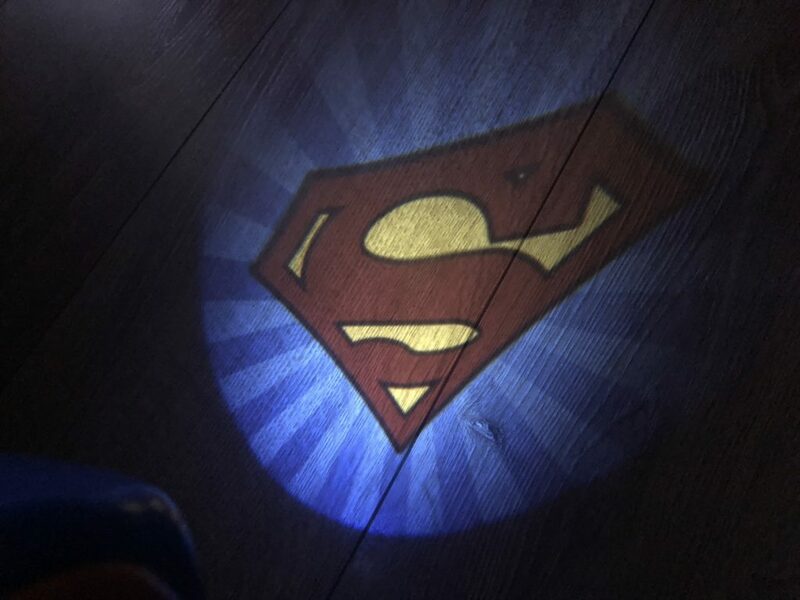 We tested the Batman and Superman ones and they are super cool – the sound effects are awesome and the lights flash brightly. They also aren’t too loud and don’t play for too long – a relief to the ears of any parent! Again, batteries are included. There are five to collect – Batman, Superman, The Flash, Aquaman and The Joker. 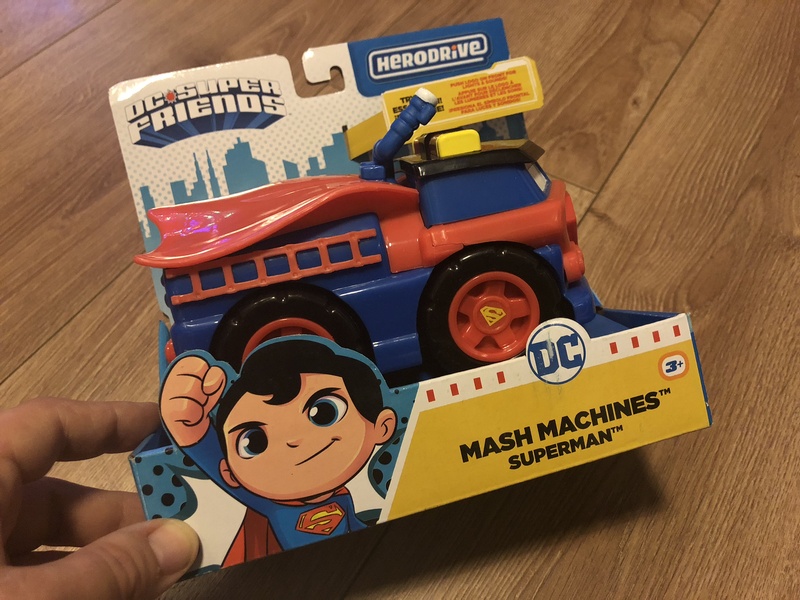 The Herodrive Mash Machines cost £7.99 each and are available from Amazon here*. 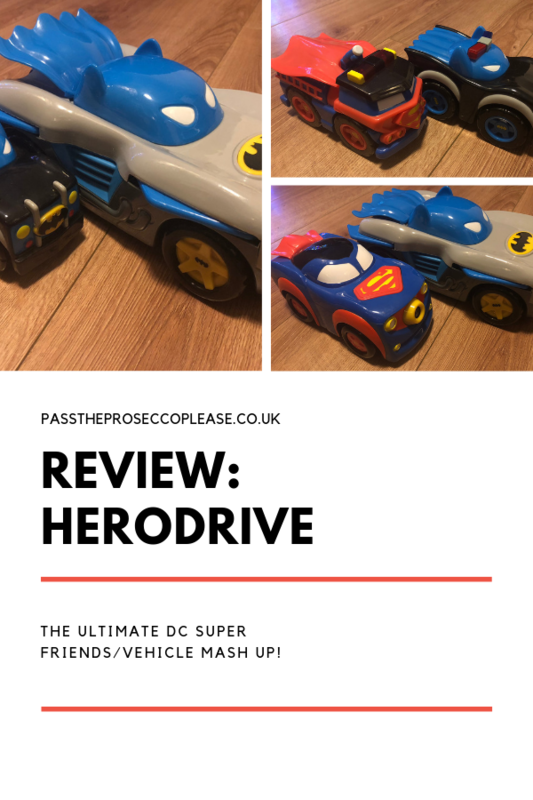 You can search Amazon for ‘herodrive‘ and you’ll see the whole range plus they are available from Hamleys and ASDA(from February 2019). We will be collecting them all – they are fab! You’ll have to bring them over so the boys can fight over them!